To rid the skin from a salmon fillet, you can ask your fishmonger to do it. But sometimes they forget–or pretend not to hear you. If this happens to you, grab a paper towel in one hand and a sharp chef’s knife in the other. Place the fillet, skin side down, on a work surface. Grasp one edge in one hand, using the paper towel to provide traction between your fingers and the slippery skin. In your other hand, grasp the knife and make a gash in the fillet about 1/4 inch from the edge of the fillet. The gash should cut through flesh and go almost but not quite all the way through the skin. Scooch the knife blade between the flesh and the skin, angling it about 45 degrees, and slide the blade along the length of the fillet, pressing gently. The fish should fall away in a neat, skinless fillet. 1. Fill a pot for the farfalle with about 6 quarts of water, place over high heat, and bring to a boil. 2. Peel and coarsely chop the tomatoes. Peel and finely chop the garlic. Put the olive oil in a 12-inch skillet, add the garlic and red pepper flakes, and place over medium-high heat. Saute until the garlic is sizzling. Add the tomatoes, season with salt, and cook until the tomatoes release their liquid and it has evaporated, 10 to 12 minutes. 3. While the tomatoes are cooking, cut the salmon into strips about 1/4 inch thick and 1 1/2 inches long. 4. When the tomato liquid has evaporated, add about 2 tablespoons salt to the boiling pasta water and then add the farfalle. Stir well and cook until al dente. 5. While the farfalle is cooking, add the salmon to the pan with the tomatoes, season with salt, and add the cream. Coarsely chop the basil and add it to the pan. Cook until the cream has thickened and reduced by about one third, 2 to 3 minutes. 6. 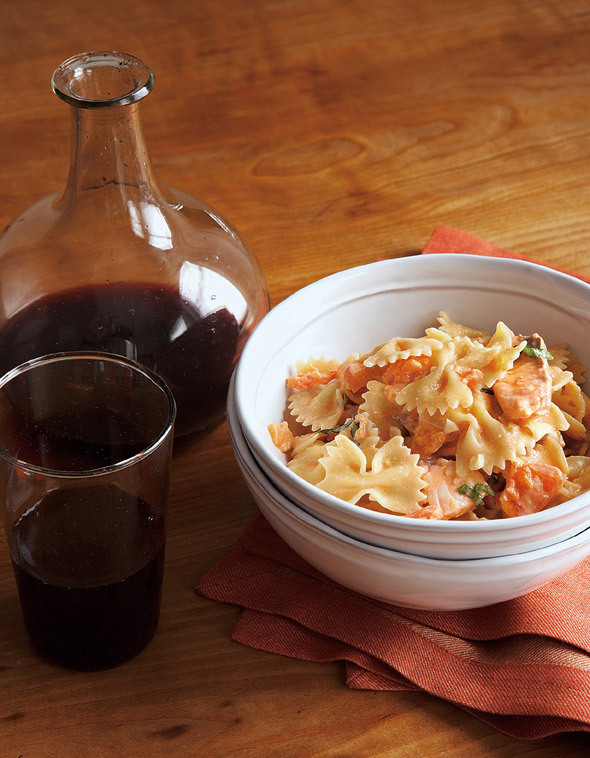 When the farfalle is done, drain well, toss it with the salmon sauce, and serve at once. 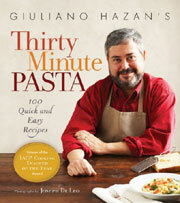 This is a very straightforward pasta recipe that was easy to prepare and ready in under 30 minutes, just as stated in the cookbook title. Even with the cream, the sauce was light and delicious. Adding the salmon imparted a wonderful flavor and also boosted the nutritional value of the dish. This dish was a hit with the whole family. There was a nice balance of flavors between the sweetness of the salmon, tomato, and creamy sauce. The sauce coated the pasta beautifully, I used farfalle, but I think if you were to use a penne, or another hollow pasta, you might want a smidge more sauce. 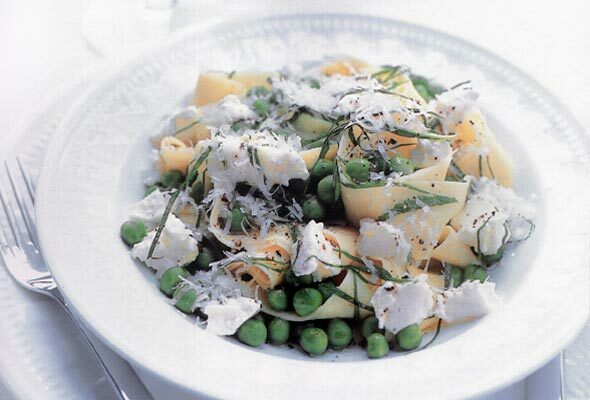 Amazing pasta dish–lots of flavour, not too rich. easy to make. I made this with fresh wild-caught Alaska salmon (the best IMHO) and fresh summer tomatoes. When there are so few ingredients I think this recipe benefits from using the freshest and the best. Will definitely make this again. Farfalle with Fresh Salmon Recipe © 2009 Giuliano Hazan. Photo © 2009 Joseph De Leo. All rights reserved. All recipes and photos used with permission of the publisher. We made this last night, and it was wonderful. What we liked most about it was that the sauce wasn’t heavy, and there was just enough to coat the pasta— there wasn’t so much that it was swimming in it. It was great to use some of the last few tomatoes from the garden. I made this dish last night and it was outstanding- the tomato was a great addition that I would not have thought to add. I used leftover flaked salmon from a dinner party a few nights ago instead of the sliced pieces- either way it was terrific! I am making this with shallots, basil pesto, and good quality canned whole tomatoes and half and half for cream. I also upped the garlic and hot pepper flakes – it is winter and it what I have in the pantry and frig – I also added a ladleful of pasta water to help thicken the sauce – a good trick to use with most pasta sauces. I lived in Naples Italy for 3 years during my Navy days, and there was dish called “Farfalle al Salmone” on almost every restaurant’s menu as a “primo” course of the meal. It’s made with smoked, not fresh salmon, and has a rosa crème sauce, I use some sun dried tomato pesto and crème to make it. It also has baby peas in it. It was always one of my favorite dishes there, and I’ve done a pretty good job at replicating it. Jim, that sounds great. if you want to share the recipe here, I think our readers would enjoy that. I’ll give it a try, guessing on measurements here, but should be close for about 4 servings. Have all the ingredients prepped beforehand, it comes together fast once you start. 1. Cook the farfalle in salted water until about 1 minute short of al dente. Reserve at least a cup of pasta water, then drain the pasta. 2. Saute the shallot in the olive oil in a large skillet over medium heat until softened. 3. Add the smoked salmon and vodka, and saute until the liquid is almost gone. Add the sun-dried tomato pesto, cook 1-2 minutes until well combined. Add the cream and simmer until the sauce thickens. 4. Turn up the heat to medium-high and add the pasta. Toss with the sauce and gradually add the pasta water until you have a nice thick sauce that really coats the pasta. (You might not need all the water.) 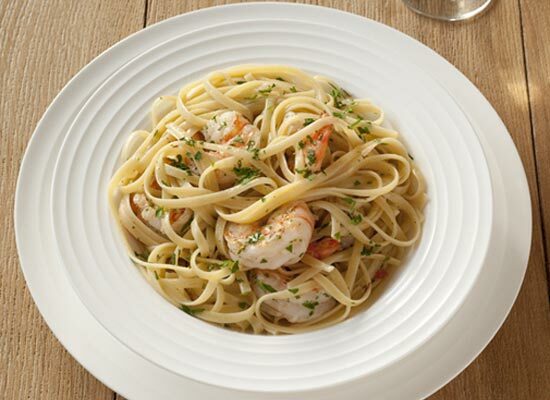 Cook until pasta is al dente. Remove from heat, stir in butter, peas, and parmesan. Serve. Jim, thanks for this. It sounds delicious! I have to try it. Please tell me: has anyone in the culinary history of the earth EVER cooked farfalle and had a good result? You know what I mean: no teeny knot of gritty hardness right in the middle where all the pasta folds overlap, and no floppy ends over-cooked to starchy blandness? I think farfalle should just…go away. Maureen, I have cooked farfalle successfully. Let me ask you: What brands do you use?